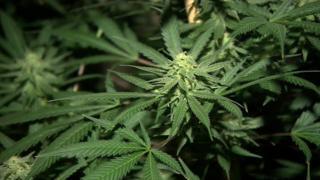 A cannabis-growing operation in an uninhabited cottage in south Armagh has been dismantled by police. Plants with a value of £20,000 were uncovered at the property near Crossmaglen. Police received information about the operation on Annaghad Road, Cullaville in the early hours of Tuesday. Sgt William Nulty said it was "a very professional operation", which had been "set up in a rural location in an effort to avoid detection". "I am very pleased to have taken these drugs off our streets," he added. A large quantity of cultivation apparatus was also discovered. Detectives want anyone with information about the use or supply of illegal drugs in south Armagh to contact them.